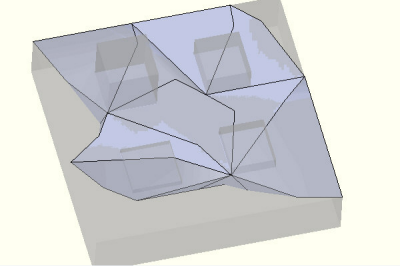 What impact does the mesh tolerance option have on the mesh produced by SolidWorks Simulation? Caution. 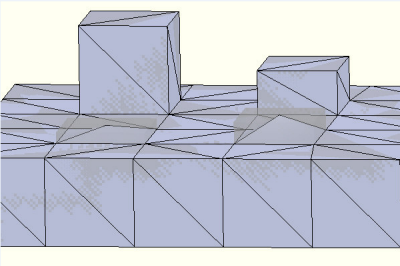 Every time the mesh size is changed, the tolerance is adjusted to 5% of the mesh size. 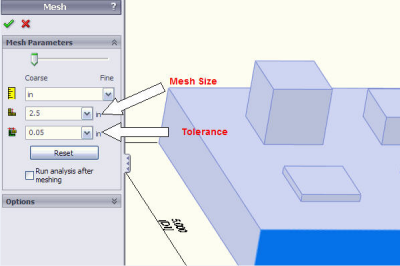 Check the tolerance and set it back the to value you require after each mesh size change. 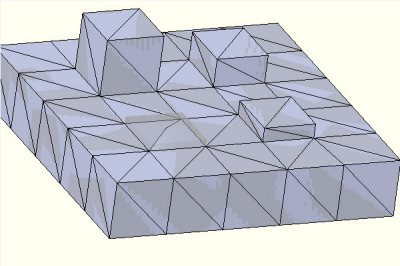 As the mesh tolerance increases, exterior model details disappear from the mesh. This block is 5 x 5 x 1 inch high. 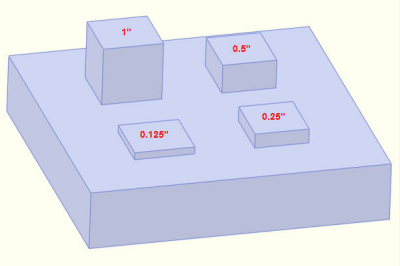 Each feature is 1 x 1 inch. Feature height changes as shown. Run #1, the mesh size is at 1 inch and the tolerance at the cosmos default 0.05 inch (5% of mesh size). 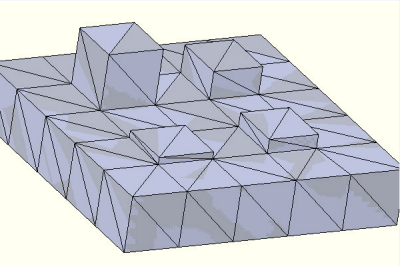 When the tolerance is increased to or above the size of a feature, it disappears from the mesh. 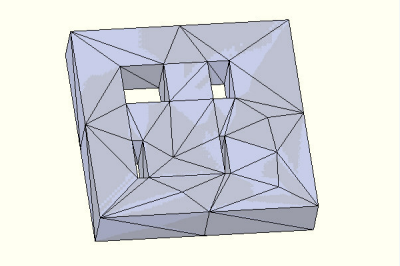 Run #2, the mesh size is still at 1 inch, but the tolerance is increased to 0.125 inch (the height of the first feature). The first feature disappears. Run #4, the tolerance is at 0.26 inch, the second feature disappears (the center of it still exists, but the edges are gone). Run #8, the mesh size is 1.125 inch and the tolerance 1 inch, all features and much of the base disappears. The mesh does not have to be smaller than the feature size modeled. Run #9, The mesh size is 2.5 inch, but the small features are still modeled because the tolerance is set to 0.05 inch. Slightly different results are achieved with internal cut features. Watch for this reason for mesh failure. 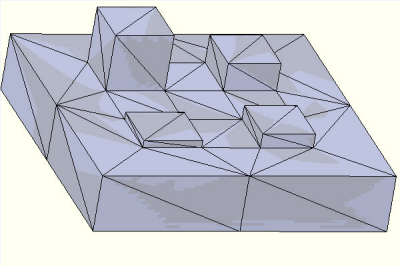 If the cut features are not desired in the mesh, they have to be removed from the model.